It’s not often that you hear those words, and especially not in reference to what looks for all intents and purposes like a lethargic, terminally bored seal. But, then you see the teeth. They are sharp. And apparently they are in a mouth that’s full of bacteria, not unlike a Komodo dragon. Get bit, and the deep puncture wounds will surely get infected. So don’t get bit. And don’t bother trying to run, cause they can run faster than you can. So just stare them down, make yourself big by throwing your arms out, make some noise and don’t turn your back. 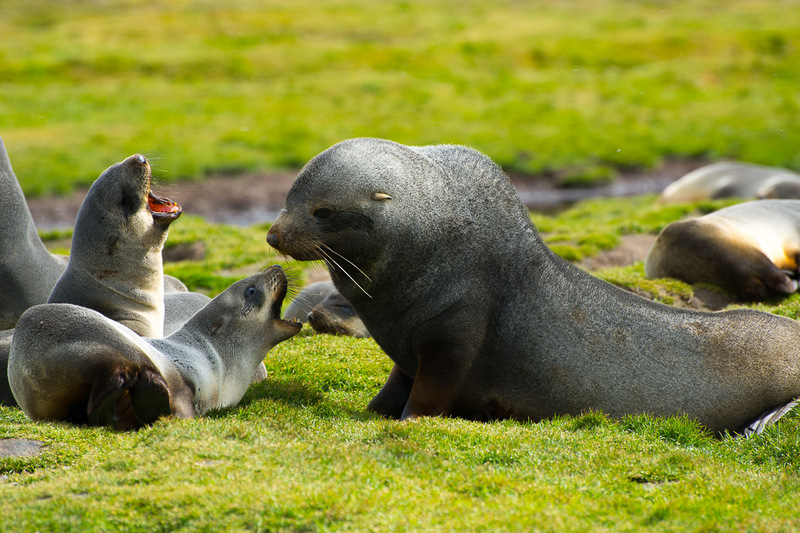 That in a nutshell is your briefing on the dangers of the highly territorial and incredibly numerous Antarctic Fur Seal. You don’t expect to need to be briefed on the ways of a vicious seal. Hell, the words “vicious seal” sound like an oxymoron. But, here we are. 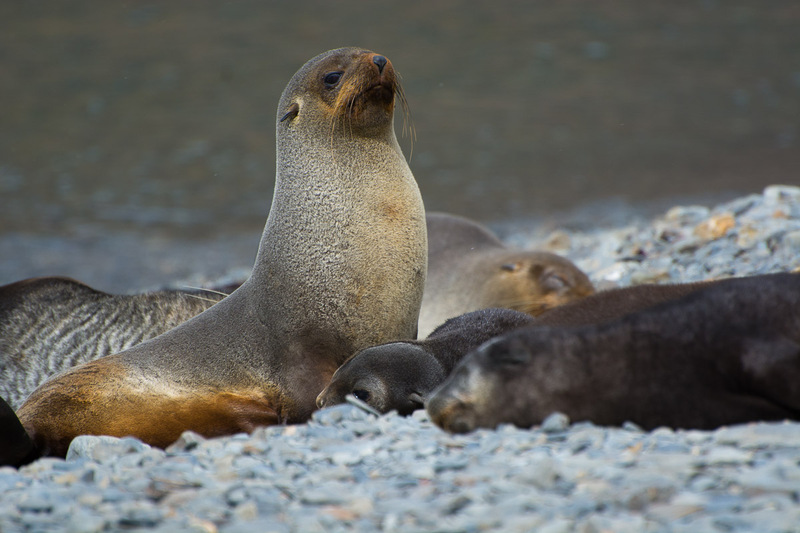 When we think of seals, we picture a lazy, maybe not so smart creature whose hobbies consist of napping and barking noisily at another seal who’s just stepped on them. They don’t move all that much and don’t seem very agile out of the water. They are certainly in no way frightening. But those are not these seals. 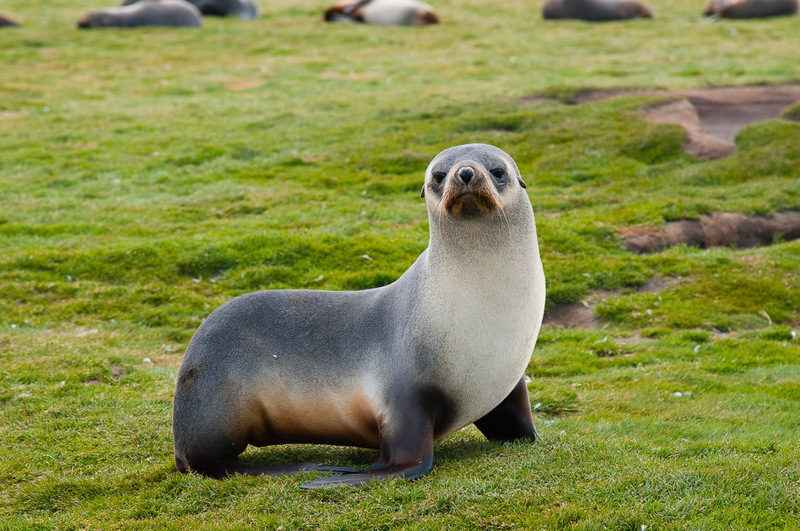 “True” seals are ones where all their spine and hip bones are in a line. They flop around or shimmy side to side to move forward and therefore can’t do so very quickly. 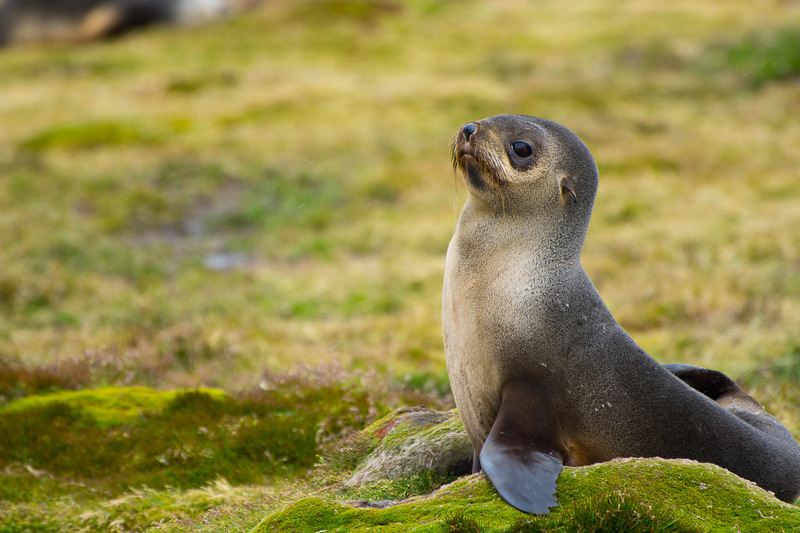 Eared seals, like the Sea Lion or the Antarctic Fur Seal, have hip bones set up in such a way that they can get their flippers (their feet, basically) under them and use that for forward propulsion. That’s why you don’t want to run. They’re fast. Personality-wise these are not the happy-go-lucky seals you see basking in the sun and napping all day. These seals are suspicious. They are short tempered. Some are clearly incensed that you have dared to walk across their beach and want to make sure that you know this. So they make a move on you. You will want to run, believe me. 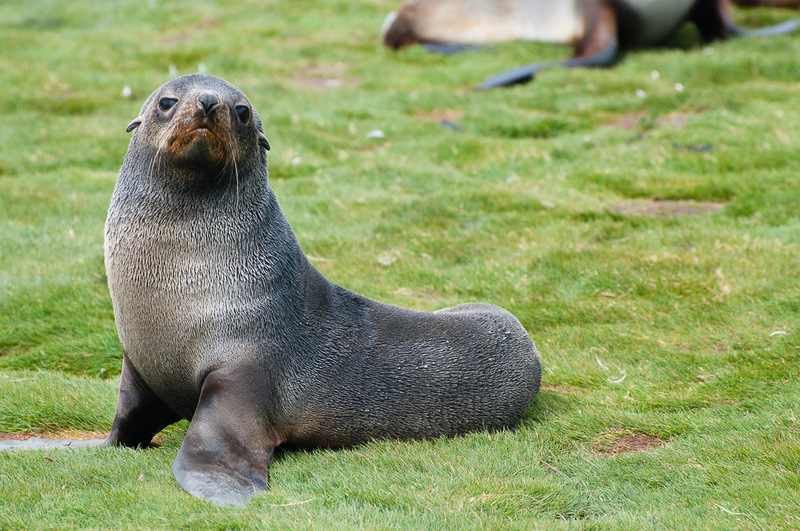 The first time a fur seal opens its mouth wide and lunges towards you, that’s your first instinct. But in order to so anything at all on these South Georgia beaches, you have to navigate your way through or around them. 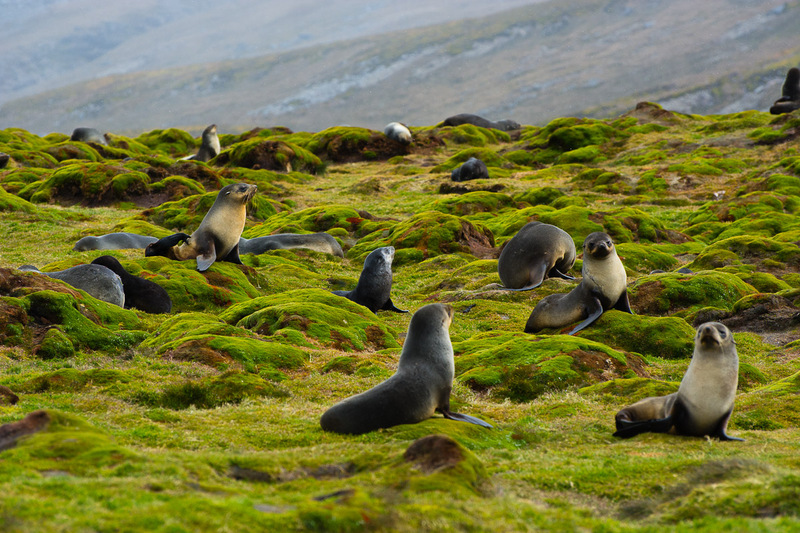 So you are faced with scenes like this: a veritable minefield of fur seals. Making your way across that field takes careful planning and a bit of bravado. And please don’t make the mistake of coming over one of those hillocks and surprising one. You definitely don’t want to do that. 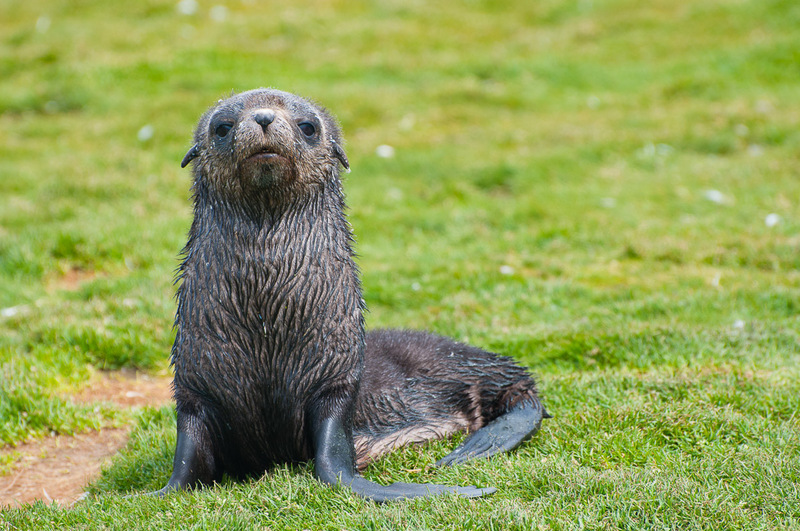 The core of the issue, from a fur seal’s point of view, is that you should not be here at all. They want to make sure that you understand this, and leave post-haste. 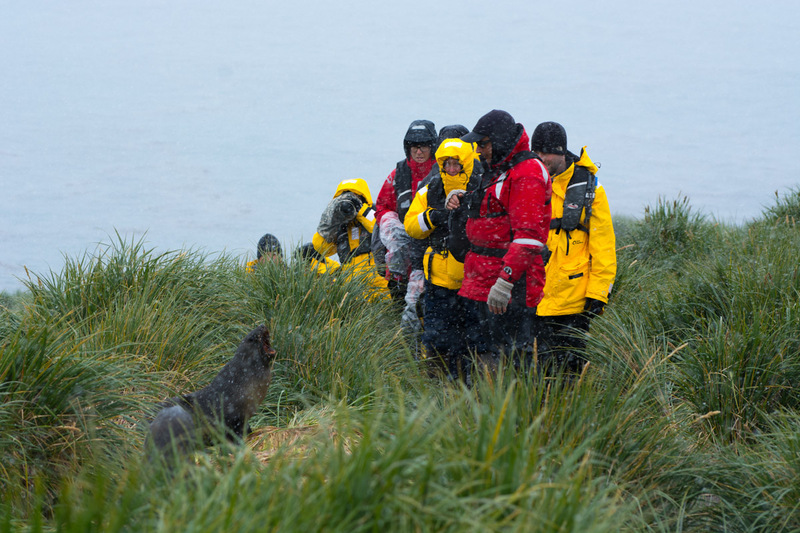 Even the babies get in on it – the first place we landed there was one very young pup that basically chased us up the beach, teeth bared the whole way. It was quite the introduction. The first few days I was torn between hating their horrible attitude and determined desire to take a bite out of me, and really respecting such a badass animal. As the days went on though, it became funnier and funnier. They were so angry, so suspicious, so peeved, they were really a caricature. So I made a point to try and get a picture of every time a seal gave me a dirty look. To chronicle their suspicion. Their anger. Their side-eye. It was not that difficult. This one’s pretending not to pay attention. Casually scratching himself or plotting my demise?